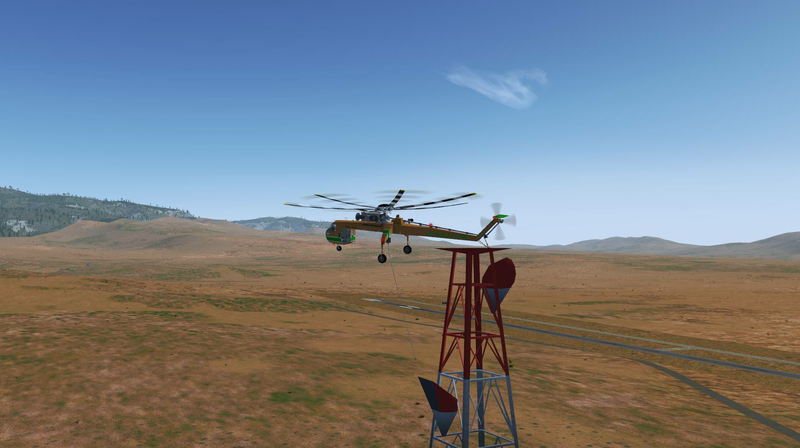 FlightGear forum • View topic - Erickson S-64 Aircrance anyone? Re: Erickson S-64 Aircrance anyone? Here's what I've been working on as of late. Consider it proof of concept. Still plenty to do and plenty of bugs to work out. There are a few math routines I could use some help with, that's what is really slowing me down. One thing the video doesn't show is that when you shut down the sim and start it back up, the tower stack is still in place. 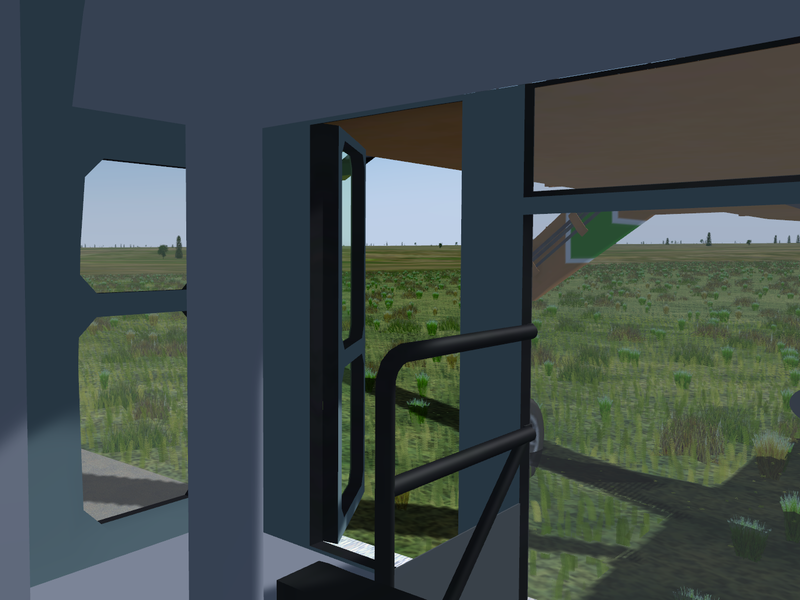 Creating a new "stackable" object and adding it to the simulation is relatively straight forward and not a major deal, other than the normal modeling itself and the usual logging of the object parameters for use by the simulation. I thought I was doing a really good job piloting and stacking the tower until the last section. I think I got in my rotor wash and kind of lost control for a bit. 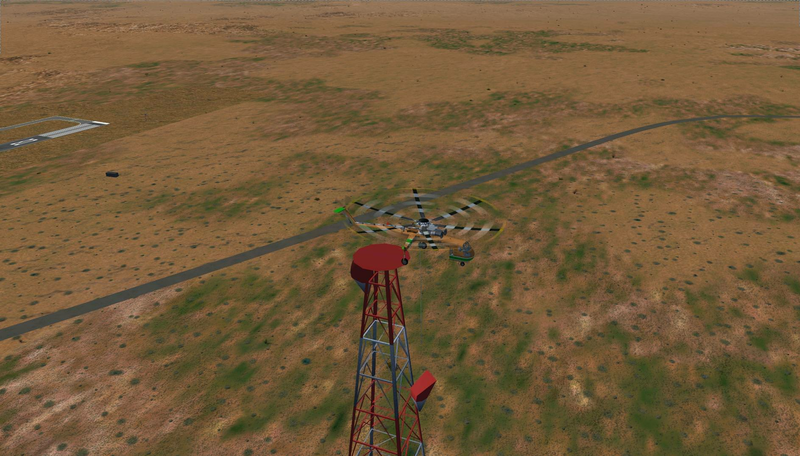 Maybe I can load the sim and finish stacking the tower in my next video. This is all currently pushed to the dev repo if anyone wants to play with it. Please be kind when you notice the poor code structure, unoptimized routines and any bugs. There will be plenty unaccounted for glitches, some known and I'm sure others I haven't encountered yet. Again, beware this is proof of concept and really rough at the moment. Did you know "Workhorse" was the U.S.A.F. name for the Piasecki YH-21, H-21A and H-21B tandem rotor helicopters? That is rather impressive! You should mention it on the mailing list as well so the core developers hear about it too. I decided to make a 180 meter stackable radio to play around with. It is relatively easy to add new types of stackable cargo like this. I have some redesign to do to the cargo gui so you can scroll through large lists of cargo. Still to do is the logic to allow for disassembly of stackable cargo, although you could easily use the cargo gui to disassemble it. I thought of what might be another fun cargo stacking scenario, shipping containers. Either moving them around in a shipyard and stacking them on a ship, especially a moving ship. Major update pushed to the dev repo. Cargo stacking works with winch or hitch. Better rope to cargo connection visual when cargo on ground (TODO a better transition visual). Cargo dragging rope stress limit (this is faked at the moment to cover for a lousy cargo dragging calculation). Tons of tuning to every portion of the cargo hauling, stacking and rope animation. Thanks again to Thorsten for all the work done on the rope animation. The last steps are to convert the get/set style to match Thorsten's OOP/class style on the rope code and come up with a decent interface module to help facilitate the incorporation of the cargo portion to the rope portion as they go hand in hand except the cargo portion requires the rope portion but not necessarily the opposite is true. Shift + o attach cargo. o release cargo (only when on the ground or part of a stack). Shift + w winch down. Long line VS hard docked. There is GUI for positioning cargo. Beware, I haven't had the opportunity to check for breaks to the hard docked logic yet since all the long line work. It is possible I broke something without realizing it. Final view of assembled microwave tower and equipment. The lower pod is quite a challenge to get into position. I had the rear rotor guard physically resting on the top plate of the tower. 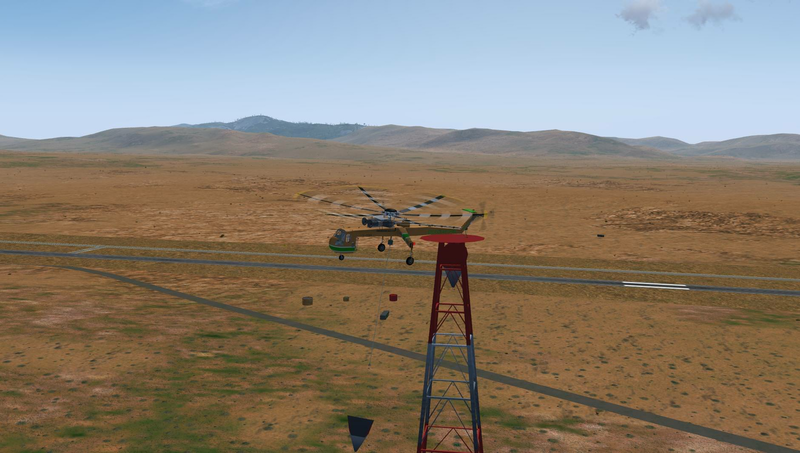 Then I pivoted the aircraft slightly until the "Connection in Range" appeared and I was able to connect the pod to the stack. I forgot to mention a few other additions. Some were completed earlier and a couple just now. Added a compass to the top of the dash. Added dual glass to allow for interior and exterior effects. Rain effect to glass (TODO: animate it per rotor-wash). 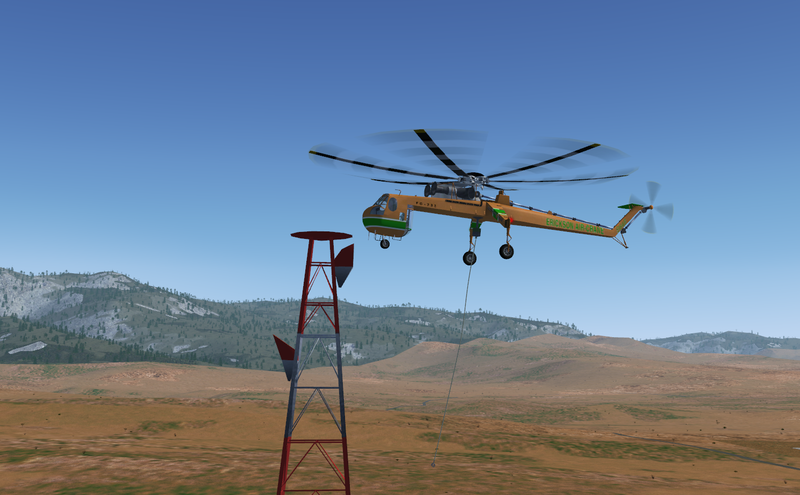 Option to allow cargo to effect rope animation. This can be a bit funky if you have a straight rope already on the ground and pass over a smaller cargo object, it will leave all the overhang sticking straight out at the same elevation of the cargo's top surface. But with a bigger object that has a large surface area, the rope will behave as if on top of the object VS passing through it to the ground. Added a new parameter to cargo insertion function to allow for cargo stacking height to be anywhere, not just at the top of an existing cargo. For example, I now stack the pine trees inside the truck two high starting on the truck bed. Added terrain type, dust and wetness factors to rotorwash particle effects. Still a little more eye candy such as screws and better textures to do. The font of the text is not accurate and I really didn't want to put too much effort into creating the text but felt it important enough to add something. By the way, this was the first time I used Blender "text". This is a very handy tool when you need a text stamped on or into metal. Looks like there may be a way to import a custom font, but as I said I really didn't want to invest that much time into it. I'm planning to work on the interior graphics and systems for awhile. Any volunteers to create textures, modeling or anything for that matter would be welcomed. The animation is several standard rotation animations. I adapted the boot coverings and the rotation code from the Alouette-III (it was easier than creating it from scratch). I started with one pedal and a boot, modified them to resemble the Aircrane's pedals, then duplicated and/or mirrored them for the other three. Plate and screws and the SIKORSKY text were originals I created. The Blender text tool is perfect for making a text stamped into metal. If you downloaded from the dev repo since yesterday there was an error in the mesh. I accidentally added an extra center console and rotor pedals, thus you would see some z-fighting between the two objects. It's been corrected.